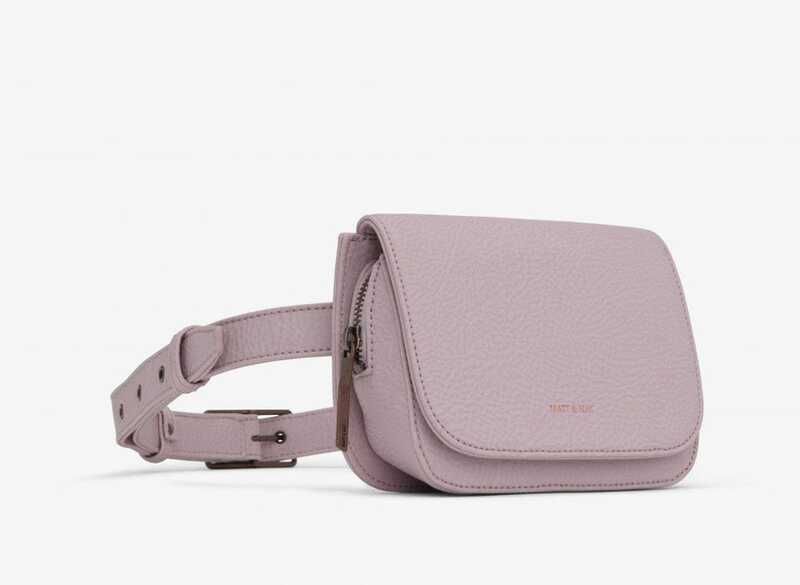 Fanny packs have become a stylish accessory perfect for travel. As a frequent traveler, I’ve come to know and love certain products I simply can’t leave home without. A comfortable neck pillow, an effective pair of compression socks or a portable charger for when my phone begins to die. But I never would have guessed one of the items on this list would be an accessory which my high school self would have laughed at: a fanny pack. Luckily, fanny packs today look nothing like the obnoxious, awkward hip bags clueless tourists wore in the 80s. 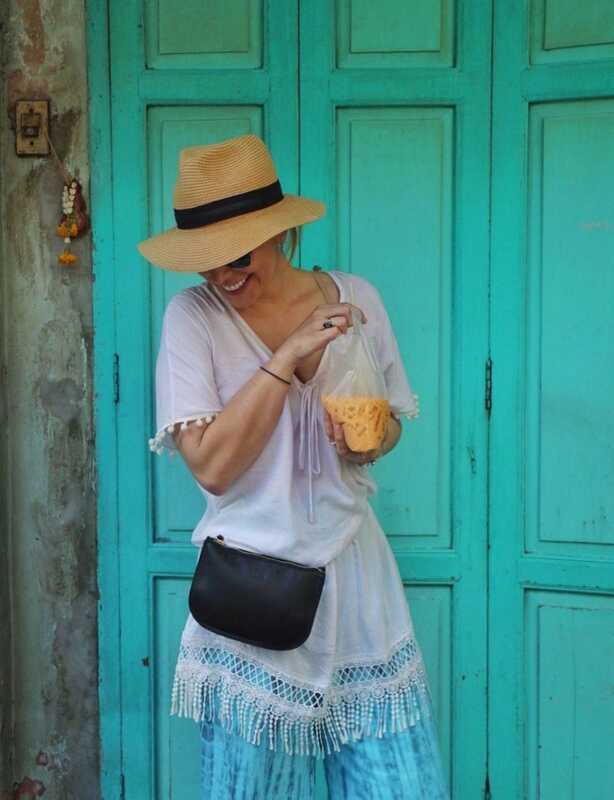 And thank goodness, because having a fanny pack (also called a hip bag or, originally, a bumbag) while traveling isn’t just for fashion’s sake. This choice accessory has been revamped into something elegant and versatile that allows you to keep valuables safe while keeping your hands available for photos. Here are 5 stylish fanny packs which are the perfect combination of form and function—and which are perfect for your next trip. Valerie wearing her go-to bag, The Waverly from Lo & Sons. Versatility is the name of the game with this convertible bag. Wear it as a wristlet, sling it over your shoulder for something crossbody or wrap it around your hips for hands-free traveling. It’s got just the right amount of room for your passport, phone and some cash without looking too bulky. A vegan belt bag with a holographic sheen adds instant style. If you sometimes pack a wardrobe that is more subdued than what you usually wear in order to avoid unwanted attention, the holographic sheen on this bag adds a bit of glamour and fun. It’s crafted with a vegan leather, and the extra circular compartment is a convenient spot for lip gloss, coins or other smaller items that tend to get lost in the bottom of a purse. The crescent shape on the Vere Verto bag makes it unique. Handcrafted in Spain, this fanny pack/crossbody bag/clutch in one has a buttery smooth feel and elegant crescent shape. The higher price point is justified by higher quality materials—100% vegetable-tanned leather and brass hardware—and it means you could wear this bag every day for ages and it will hold up. 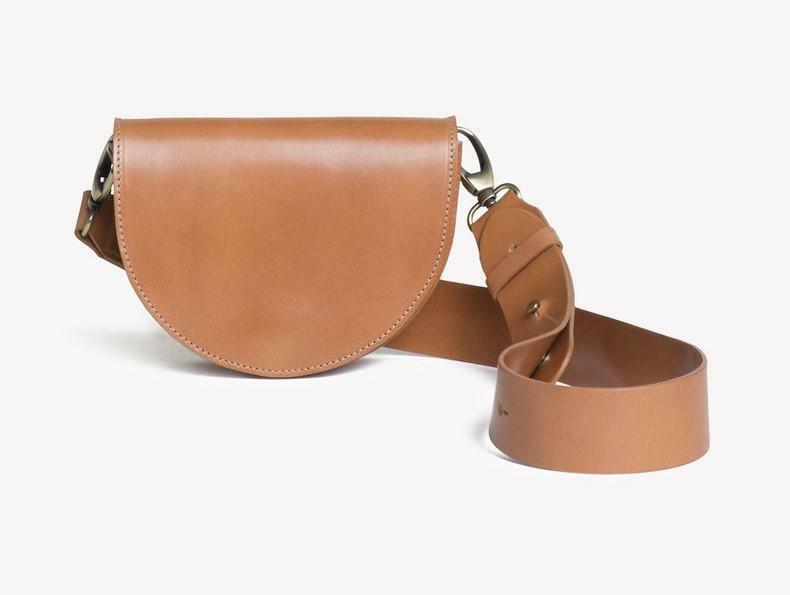 The variety of colors MATT & NAT offer with their belt bag, PARK, gives you many options. MATT & NAT’s motto is “Live Beautifully,” and it’s easy to do in their accessories. These vegan leather bags come in a variety of lovely colors, from classics like black to trendy hues like a dusty rose or baby blue. The bag has a zipper and magnetic closure, making sure that all your things stay extra secure. The Socialiser has extra details which make all the difference. This versatile companion was designed to transport your daily essentials while leaving your hands free to navigate crowds. The Socialiser transforms effortlessly into whatever bag you want it to be—a clutch, cross-body purse or belt bag. It’s grab and go, and the leather strap detail on the front makes it stand out from the crowd.